Why a School for Boys'? We offer a culture that presupposes one can be much more than what can be offered by the limiting stereotypes of masculinity. Living away from home teaches independence and life skills, not to mention it’s fun! 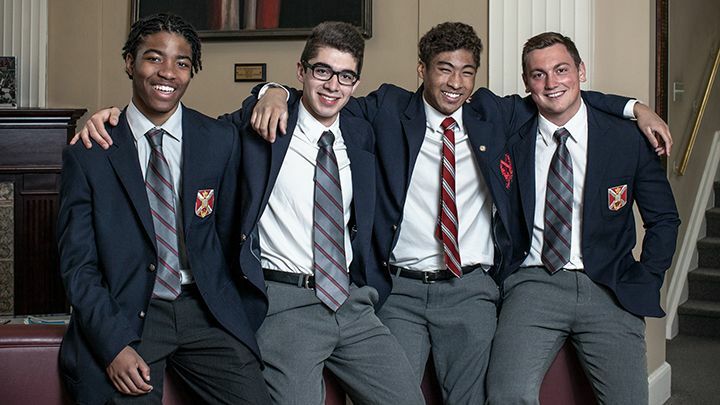 With more than 118 years of tradition, we remain the single largest all-boys boarding school in Canada. 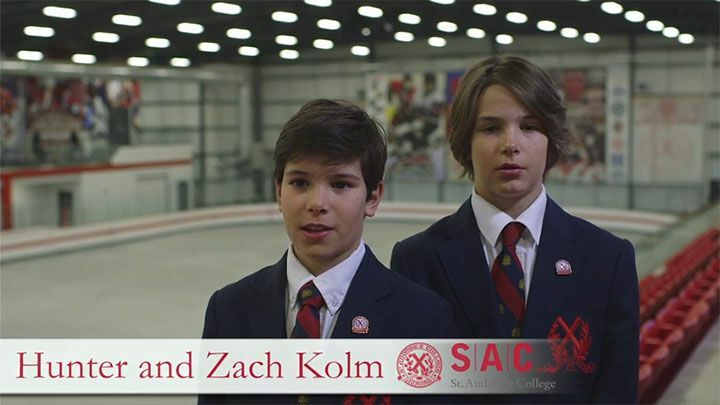 Get the scoop on what it’s like to be a student at SAC, then book your visit to meet us. At St. Andrew’s, our teachers, programs, and resources are selected with one goal in mind – to teach boys the way they learn best. The decision to move our campus to Aurora from Toronto in 1926 was made with the boys’ best interests in mind – allowing for more space for our students and fewer distractions. Our 126-acre campus offers students a safe and secure setting to take part in their non-stop, action-packed days. St. Andrew’s has always been a boarding school first and foremost, yet today our day boy population exceeds the boarding population. However, boarders and day boys alike continue to benefit from the wonderful attributes of our residential life program. Day boys are often dropped off early in the morning for breakfast in Cole Hall and choose to remain into the evening following their sports commitments to participate in club meetings, dinner, group work, extra-help tutoring in the residences, house-league sports competitions, drama practice, or open art studio time. Parents appreciate the excellent adult supervision and guidance offered to their sons, and students eagerly tackle an abundance of worthy and healthy pursuits by remaining on campus. Our goal is to foster the development of academic achievement, leadership skills, responsibility, and social awareness, whether it’s through academic, athletic, or co-curricular pursuits. 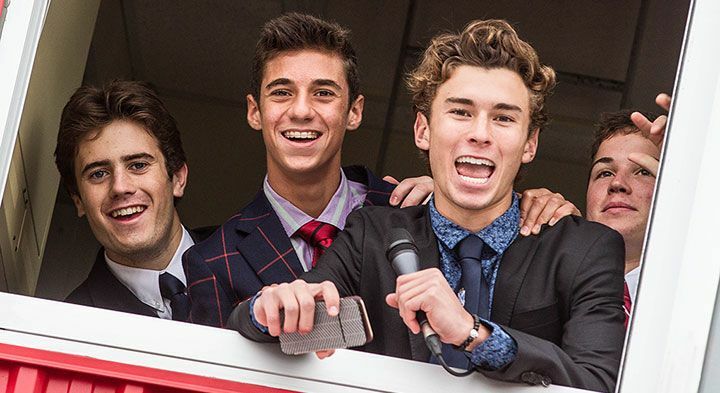 At St. Andrew’s, boys have endless opportunities to pursue new challenges and discover new passions they’ve never dreamed of in areas like the arts, music, drama, and debating. They can choose from 71 teams across 22 sports; they participate in the Cadet program (which dates back to 1905! ); they are highly encouraged to try out for leadership roles in clubs, athletics, and residential life; and what is most inspiring is that they avail themselves of these opportunities. Our boys are engaged, competitive, and spirited. Perhaps most importantly, our dedicated faculty and staff foster a nurturing environment that ignites boys' imaginations and guides them to establish healthy values and a strong sense of character. This caring community ensures the educational experience we offer our students is second-to-none. At St. Andrew’s, we have cultivated a fruitful relationship with other boys’ schools through our association with the International Boys’ School Coalition (IBSC).